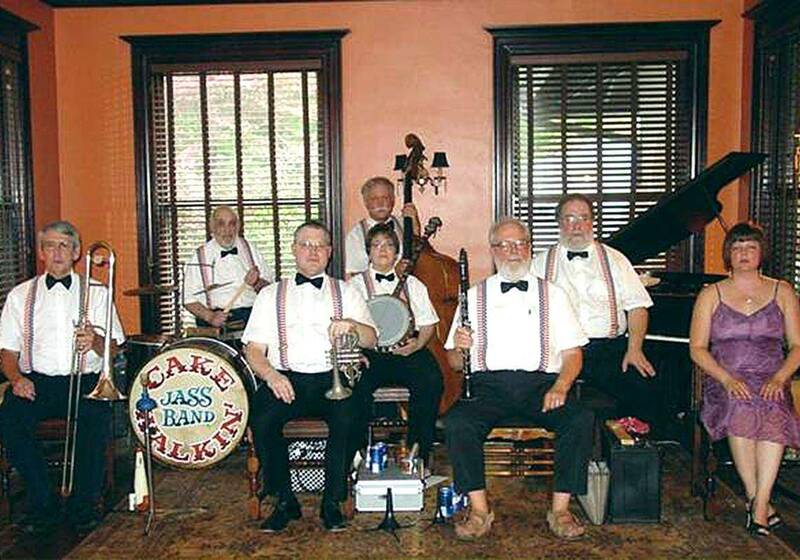 Toledo's own Cake Walkin' Jazz Band are frequent performers at Grugelfest. In 1986, a group of Northeast Ohio jazz fans led by Jean and Paul Huling, known for their musical duo as “Sister Jean (the Ragtime Queen) and Laundry Fat” -formed a club called EARLYJAS (The Earlville Association of Ragtime Lovers Yearning for Jazz Advancement and Socialization). For well over 20 years, EARLYJAS presented a very successful and popular Fall Dixieland Jazz Festival in Strongsville, Ohio. Unfortunately, due to a lack of volunteers and the potential for major financial losses, their Board of Trustees voted to discontinue the Fall Festival after 2011. Toledo’s own “Ragtime Rick” Grafing, agreed to produce a new festival to replace the one in Strongsville, to be held in Toledo. It is known as the GRUGELFEST, a tribute and memorial to EARLYJAS member Ralph Grugel, leader of the Eagle Jazz Band, who died in 2005. Ralph Grugel was a major force in Cleveland’s Dixieland Jazz community. Jean and Paul Huling’s grandson, Kenan Leslie, continues to perform in the musical tradition of his grandparents. He plays both the washboard and piano, and will appear at this year’s Grugelfest. Kenan began performing with Sister Jean in 2006 at the age of eleven, just months after his grandfather’s passing. The duo of “Sister Jean and Kenan” made its debut at the Washboard Music Festival in Logan, OH in 1996. They spent the next ten years doing performances at retirement communities, libraries, churches, holiday parties and civic events-sharing their talents and joy to brighten the lives of others. Kenan is now focusing on the piano, and Ragtime music. Be sure to show him your support as he’ll be playing as a soloist at various times throughout the festival. This will showcase the festival’s youngest and oldest musicians playing together. The trombone man with the BRJB is none other than Bob Butters, who will be 87 this November. Kenan Leslie is now 21. What a tribute to the power of the music we all love so much! It is heartwarming to know that our music lives on throughout the generations. Bob Butters has been influenced by musicians such as Wild Bill Davidson, Jack Teagarden, Carl Halen, J.C. Higginbottom, Phil Napolean and Tommy Dorsey. He brings amazing energy and experience to the BRJB, and will be featured singing and playing on Jack Teagarden’s version of “Basin Street Blues” at some point during the festival. He has worked hard as a champion for traditional American jazz, and is a wonderful role model. I am humbled and proud to have played alongside Bob for the past twenty years. He’s helped me to grow both musically and as a person. The Festival Organizers have agreed to officially name Kenan Leslie and Bob Butters as “Co-Festival Kings” during this year’s Grugelfest celebration. We can’t wait to join with all of the other musicians and festival goers for a fabulous weekend of great music! Sister Jean would be proud.